Underrated… under appreciated… ultra cool. There is a quiet confidence that is indicative of every great bass player. They hold everything in place. They keep the song moving melodically and rhythmically. Plus, like drummers, they are usually is short supply! So if you’re a good bass player, you’ll get work. 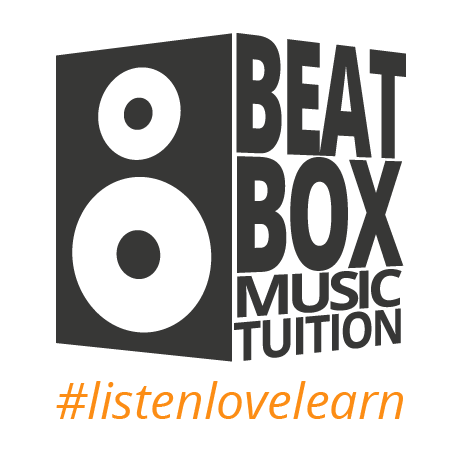 Bass guitar lessons at Beatbox Studio are relaxed, informal and on a one-to-one basis. We prefer to take a flexible approach, tailoring lessons to suit the natural abilities and aspirations of each pupil. “Every stereo ever made has an option to adjust the bass. The emphasis is firmly on making you the best bass guitar player you can be. 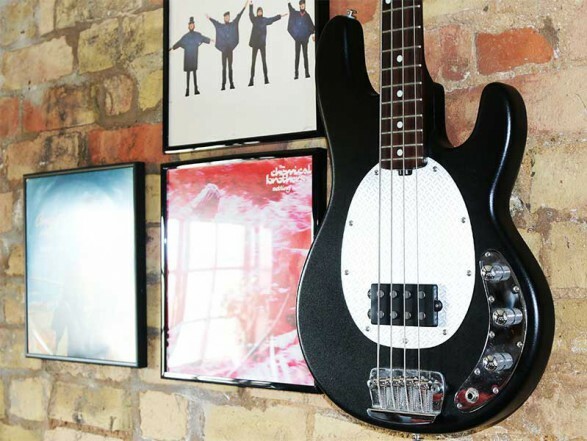 From giving you a thorough grounding in the basic of bass guitar playing we’ll then help you to grow, develop and build upon these skills, providing you with the tools you need to join bands and perform. 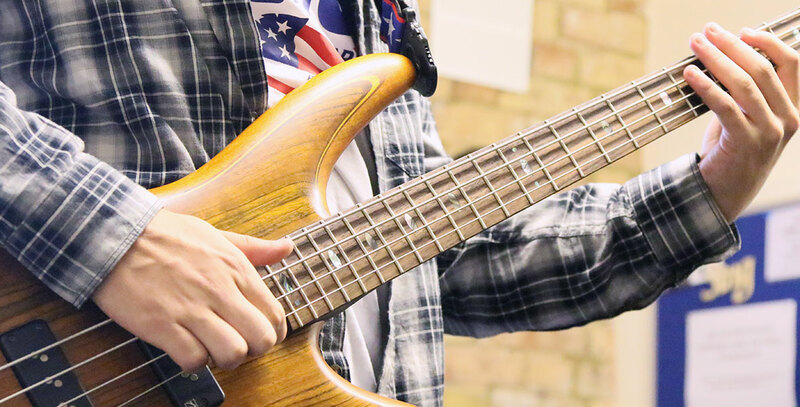 As a multi-instrument music school, we often give our pupils the chance to play with other musicians, which is a great way to grow confidence and cement those new found skills. 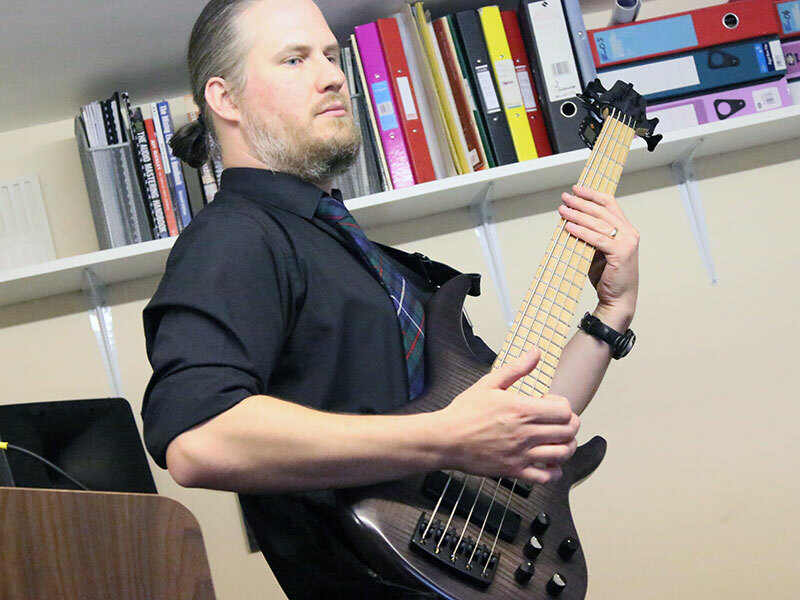 James Murphy has played bass guitar and drums for over 10 years, and has a Popular Music BMus Degree which he gained at Thames Valley University. James has experience of session work, teaching and live performance across the UK. He started Beatbox with his wife Mads Murphy back in 2010.